Home › Promotions › GET A FREE DEALER DINER MUG! GET A FREE DEALER DINER MUG! 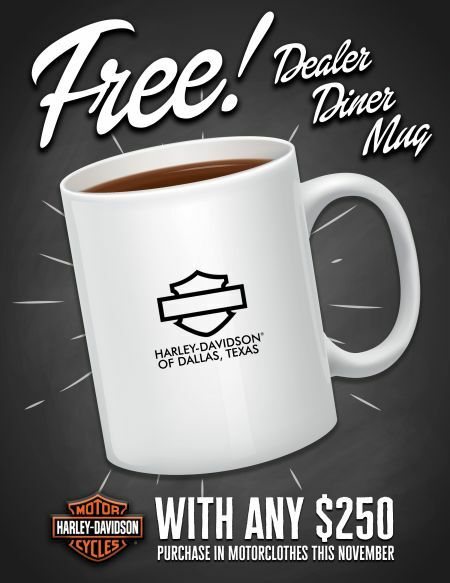 For the Month of November spend $250.00 in the Motorclothes® department and receive a FREE Diner Dealer Mug from Harley-Davidson® of Dallas in Allen Texas! *Some restrictions may apply, see dealer for details.